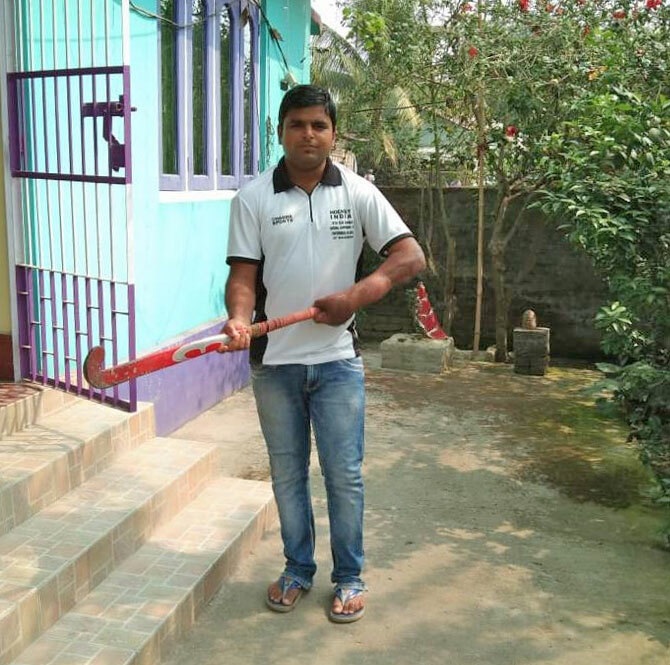 "The doctor believes I will -- and so do I," says Srikant, a hockey player who represents Assam. He underwent six surgeries at Coimbatore's Ganga Hospital where doctors used tissue from his abdomen to reconstruct his hand. "He may not get back to the state team again, but can coach children. You can't imagine the tragedy of losing a hand. 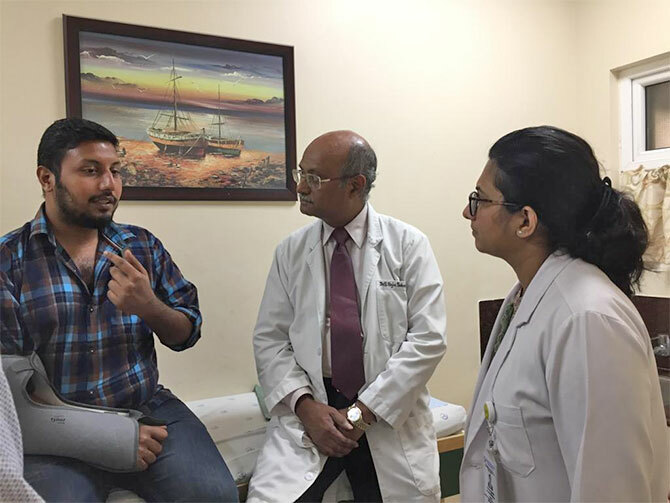 Saving it makes a tremendous difference to life," says Dr Raja Sabapathy, head of the department of hand reconstructive surgery and burns at the hospital. That afternoon, his team was going to reconstruct a boy's thumb by replacing it with the toe. The operation would take 7 to 8 hours. "Reconstructive surgery not only improves the quality of life, but phenomenally helps in nation building and the economy," says Dr Sabapathy, who comes from a family of doctors and had just returned after delivering the guest speaker's address at the Paediatric Hand Study Group of America in Denver. "If someone can't use a limb, it affects not only her/him, but the family. The person cannot work and is totally dependent on the wife or mother. In all my years as a doctor, I have seen that they are the only two people who will go the full journey with you," adds Dr Sabapathy whose team of doctors arrives at the hospital at 7.30 am each morning and stays till after 8.30 pm. "Mother and wife are the two greatest institutions of the world," he says. A testament to that eternal truth was present in a room on the floor above where Prateek Jaiswal's mother was standing vigil at his beside. "He has had several surgeries. 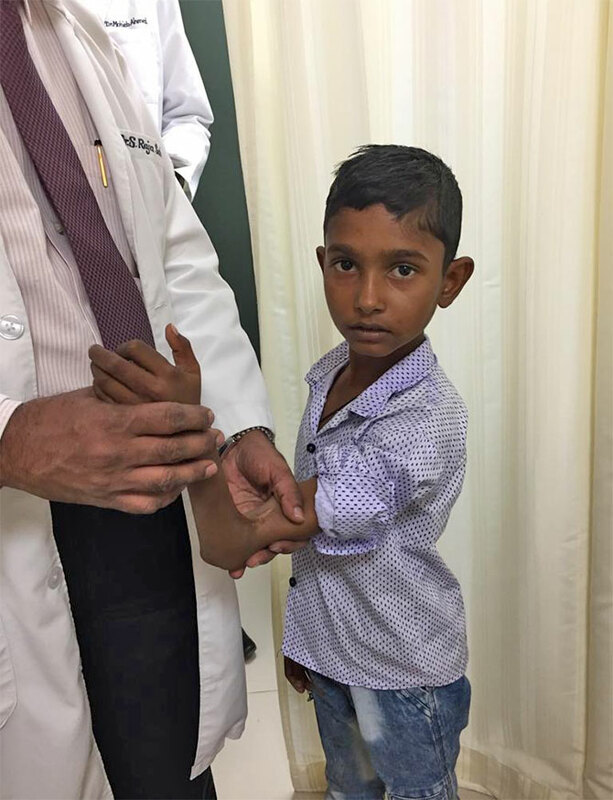 Doctors say he will heal, but it will take time," says his mother Rashmi. "I've seen some similar injuries, but what I've seen here have been more complex in terms of degree of injury and also the sheer number of patients," says Dr Stella J Lee, a resident at the Harvard Medical School, who has spent several weeks at the hospital. "What we did differently was that we did not remain exclusive. We built up volumes which gives us operation efficiency. The cost of care is also much lower than other hospitals," says Dr Sabapathy, whose son, a surgeon trained in the UK, is looking after the newly introduced breast reconstruction department. Dr Sabapathy's interest in the field had begun in the 1970s -- in the early years of microsurgery. "I thought this is where the future will be. People at that time thought this was not for India, but few of us thought otherwise." "India liberalised and all who came at that time succeeded. We must thank Manmohan Singh and Narasimha Rao for doing a great job for India. The nation hasn't looked back since then," says Dr Sabapathy, in between seeing new patients and old. Less than .55 mm of the skin is taken from the legs and back. It can be harvested from people's homes by a team from the skin bank and takes 30 to 45 minutes. There is no bleeding and disfigurement -- the areas from where the skin is harvested are bandaged. After the procedure, the deceased can be made to wear clothes as intended by the family. "When you do this you don't compare with the god given hand or body, but with what would it have been otherwise," says Dr Sabapathy. "We are not treating people, we are rebuilding lives."